Are you looking for new places to ride? This interactive smartphone/tablet App helps you explore a half a dozen sections of the original Pony Express Trail as it travels through Central Nevada. The App is free to download, works with OS or Android operating systems and can be used even if you lose cell service. More features include, history of the towns along HWY 50, photo uploads and trail conditions. We will be checking out the trail soon, see you out there. 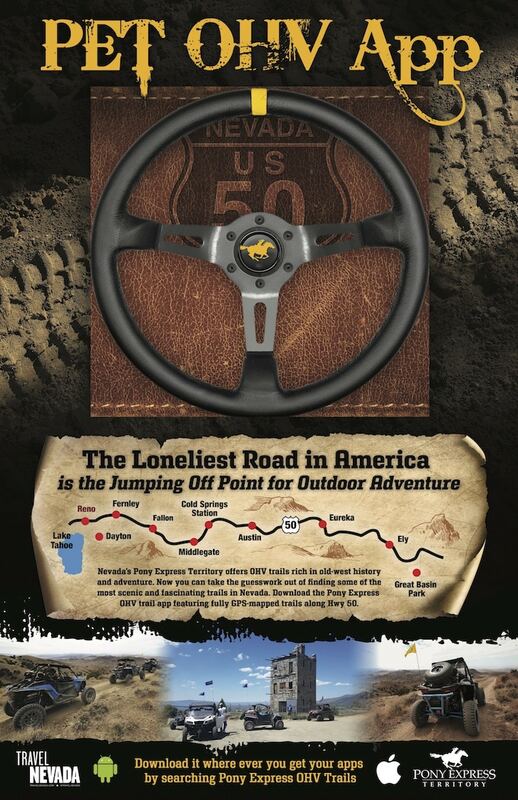 See our other favorite OHV Smartphone Apps HERE. Are the Oceano Dunes in Danger?